A bridge between contemporary art and performance, Steli is a stunning, interactive and vibrant performance. 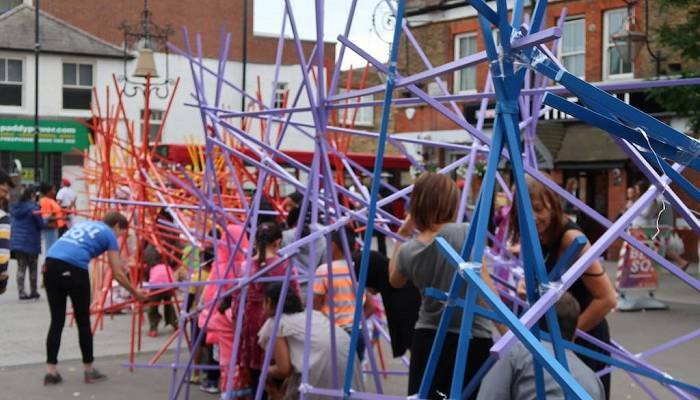 This lively event offers an opportunity to create a huge structure made out of colourful wooden sticks. Once the hard work is done, everyone can explore their creation by walking under, around and through it, all to a lively soundtrack. Steli has toured to Barking & Dagenham, Hounslow and Leicester. 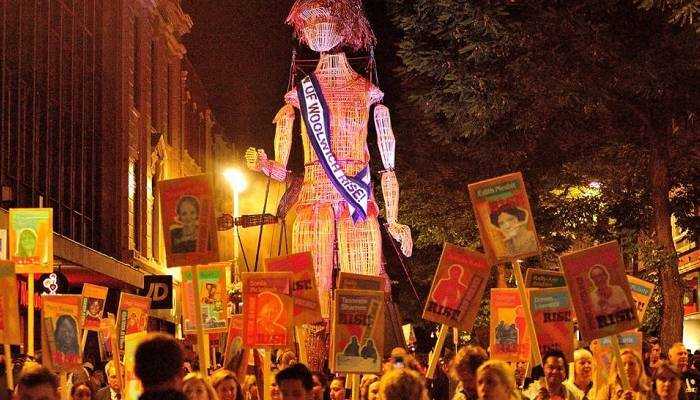 This large-scale processional performance, inspired by the centenary of the Representation of the People Act, celebrates local and global stories of women and their continuing struggle for equality and human rights. 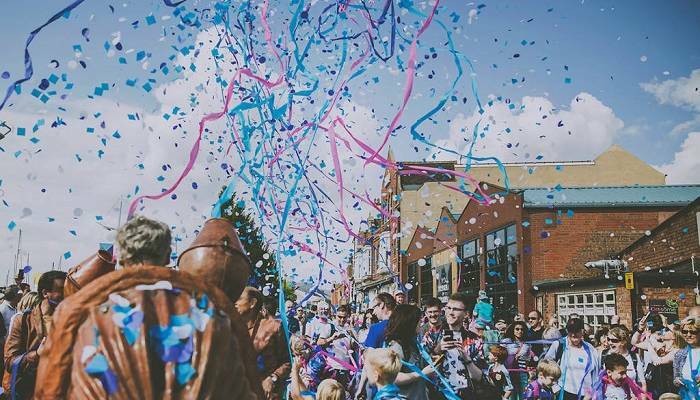 It features giant puppets, pyrotechnics and offers a range of engagement possibilities, including performances by local community groups.  Rise! has toured to Woolwich, Hull and Luton. The Colour of Light sees enormous colour-wheels rolling through the streets gathering and welcoming everyone on the way. The Colour of Light is a promenade performance that celebrates inclusion and open-heartedness and is set in an epic soundtrack by composer Shri Sriram. 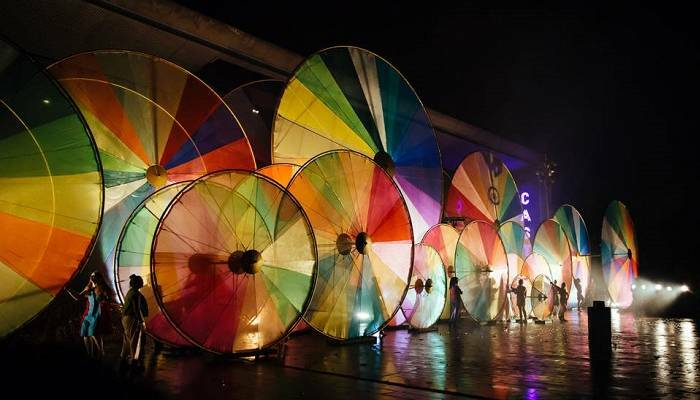 The Colour of Light has toured in Doncaster, Woolwich and Luton. The Clash of Drums (Le Choc des Tambours / Danbor Talka) is a spectacular fusion of percussion and awesome fireworks. Seemingly out of nowhere, drummers march towards each other in a parade winding its way through the audience. 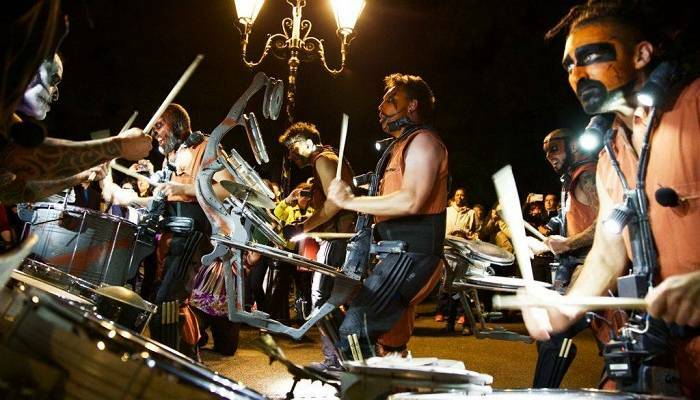 The two teams of drummers, twelve in total, play off against each other in a series of percussive ‘battles’ before joining together in a theatrically staged fusion of sound and pyrotechnics. The Clash of Drums has toured to Doncaster, Hull, Leicester, Liverpool, Luton, Birmingham and Woolwich. Featuring an interplanetary expedition of immigrants from outer space, the different alien species of The Invasion have one thing in common – they’re bright pink! This interactive performance is all about difference, inclusion and exclusion, as these newcomers attempt to understand and find their place in our world. The Invasion has toured to Leicester and will head to Hounslow on 1 December. 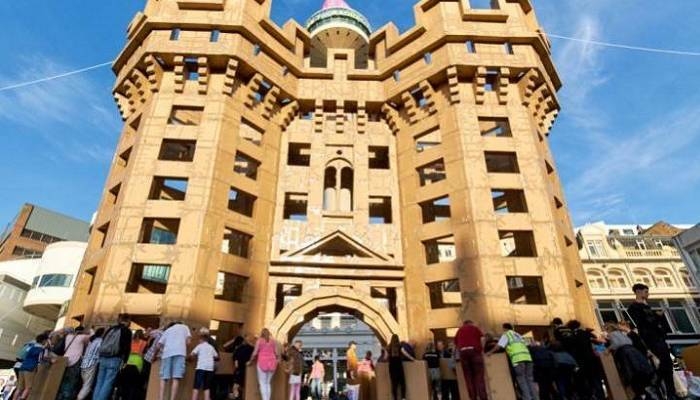 French artist Olivier Grossetête works with local communities to build beautiful large-scale monuments and buildings using nothing but human power and many cardboard boxes. Designed to be temporary, the structures are then destroyed by those who make them, in a similarly collective celebration. 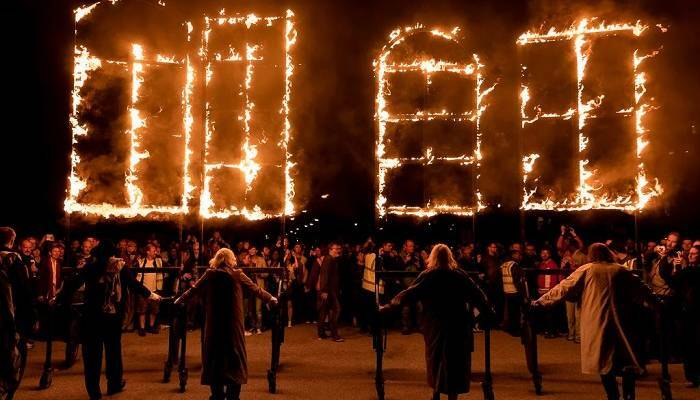 In Liverpool Olivier worked with six communities across Liverpool to recreate real castles from across the city region in the exact places they once stood, giving these communities the chance to think about the massive changes that Liverpool has seen throughout its history. Beyond Liverpool, Olivier has also worked in Birmingham as part of Global Streets. This Polish theatre spectacular recalls all the refugees and displaced people who travel across continents and warm their souls with memories of home. With a stunning staging including flame-lit structures that move through the audience, as well as a giant winged ship, this production packs an emotional punch in delivering a universal story. Arka has toured to Hounslow and Doncaster. Cardboardia is an independent community of artist performers, event managers and experts from Russia as well as other countries. 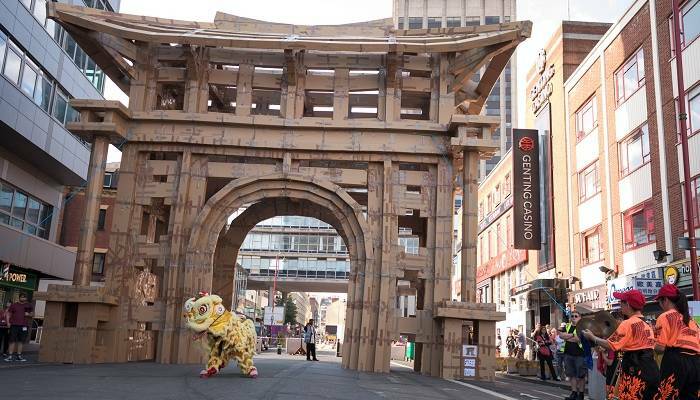 Together, they invite everybody to explore a realm of creativity, invention and play where cardboard is king. 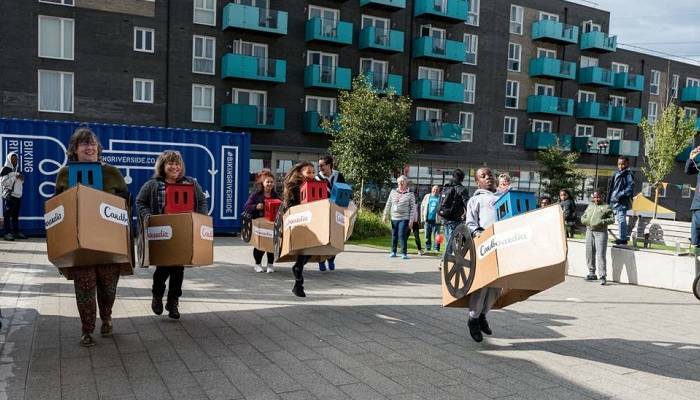 Led by Russian artist, Tyran of Cardboardia, participatory workshops prepare the ground for a final, participatory performance, including everything from a cardboard orchestra to a cardboard parade. Cardboardia has toured to Barking & Dagenham and Slough. Beyond Birmingham, Olivier has also worked in Liverpool as part of Global Streets. Hairdressing becomes theatre in the grand barbers’ chairs of Osadia. 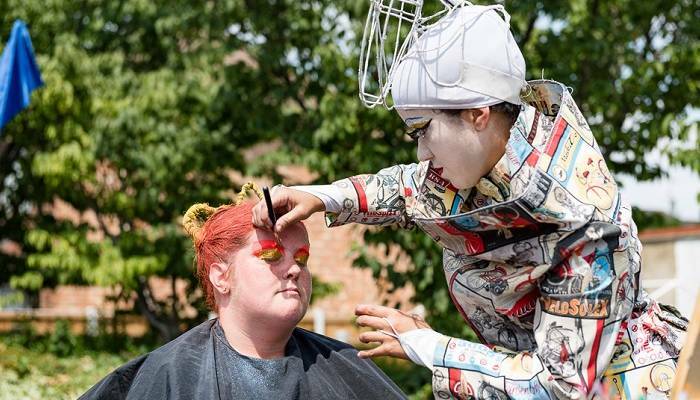 Creating original and provocative exhibitions of sophisticated make-up and hair art, set to fantastic music mixes, the audience is transformed as the central performer on stage, as styling becomes a showpiece to enthral all those around. Osadia has toured to Barking & Dagenham and Greenwich. The Audience Orchestra or Symphony on the Streets (Concert de Publics) created by composer Pierre Sauvageot, lets spectators discover the meaning of the word “concert” by acting together for a common goal. 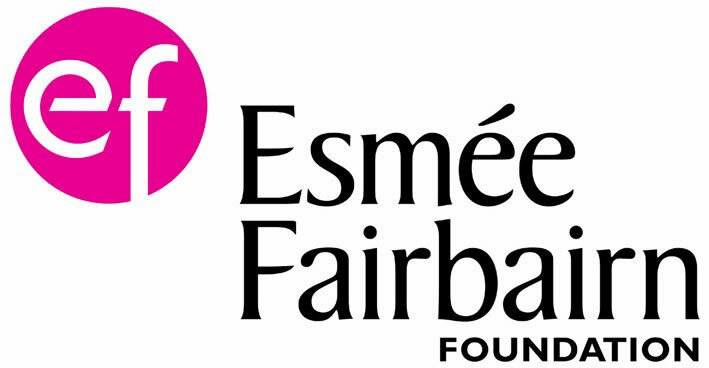 The audience participates in a musical game, becoming part of the orchestra and interacting with the conductor to share the pleasure of becoming immersed in live music. 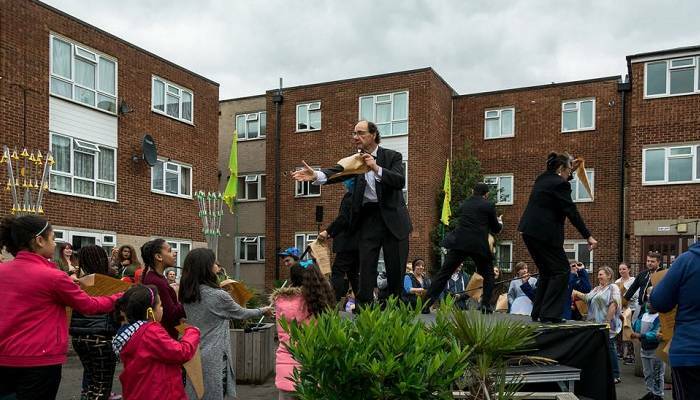 The Audience Orchestra has toured to Barking and Dagenham, Birmingham, and Hounslow. Peregrinus is an emotionally compelling performance inspired by TS Eliot’s The Hollow Men. 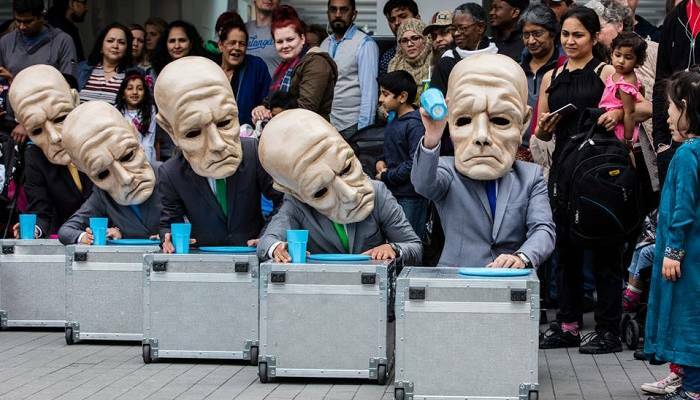 It tells a familiar 21st century story, with a cast of nine performers wearing striking masks as they embark on a comic and moving promenade journey through an ordinary working day. Peregrinus has toured to Hounslow and Greenwich. Joyous Urban Mess or Merry Urban Mess (Joyeuse Pagaille Urbaine) is a spectacular performance full of surprise and delight where the street becomes a playground for 5 ‘workers’ who end up showering themselves and audience in confetti, ribbons and streamers. Joyous Urban Mess has toured to Slough, Birmingham, Leicester and Hull. 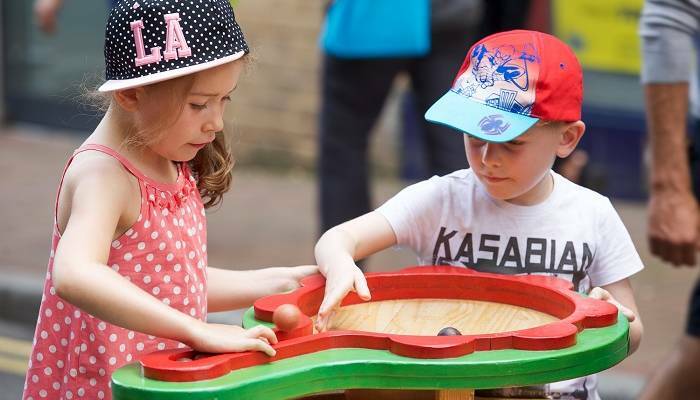 Monster Colours (Colors de Monstre) is an array of interactive games to test audiences’ puzzle-solving, cup-stacking and co-ordination abilities, these beautifully designed and handmade wooden games can be played by all ages and skill levels. Audiences can challenge themselves and each other in fascinating games of strategy, accuracy of aim, and problem solving. 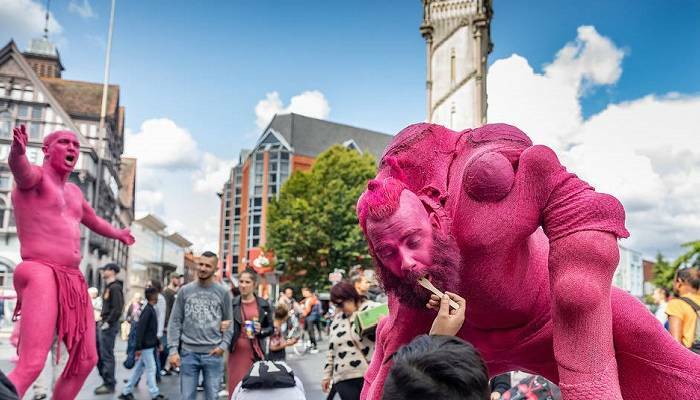 Monster Colours has toured to Birmingham, Barking & Dagenham, Hull and Leicester. The Colour of Time was a beautifully conceived promenade dance performance with choreography which evolved from the observation of everyday urban experience through ritual movement to a climactic joyous celebration inspired by the Indian festival of Holi. 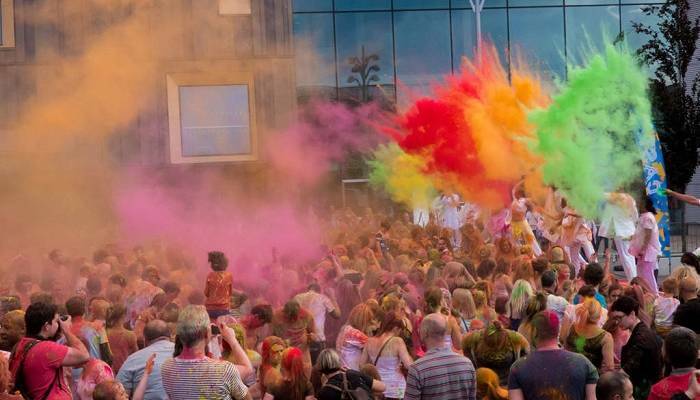 The Colour of Time has toured to Doncaster, Hounslow, Luton, Queen Elizabeth Olympic Park and Barking and Dagenham. 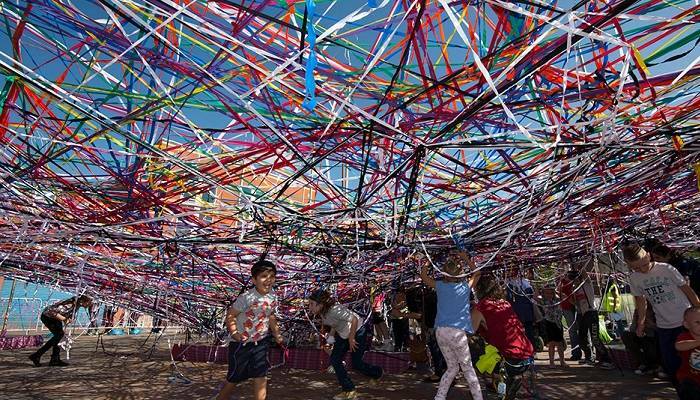 Tangle was an unfolding interactive installation, in which children and their families were provided with balls of brightly coloured elastic, which they used to create an expanding and anarchic architectural structure, accompanied by music. Tangle has toured to Woolwich, Hull, Birmingham and Leicester.